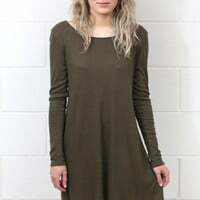 The dress itself is super flattering, but my dress came as a v-neck instead of a scoop neck. The only issue I had with that is that it's a super deep neckline. Overall I like the dress, but it's not exactly what I ordered and it's a bit scandalous unless you have a big enough chest to hold up the front.